Travel by seaplane from Montreal and land on the shores of the Fairmont Le Château Montebello. 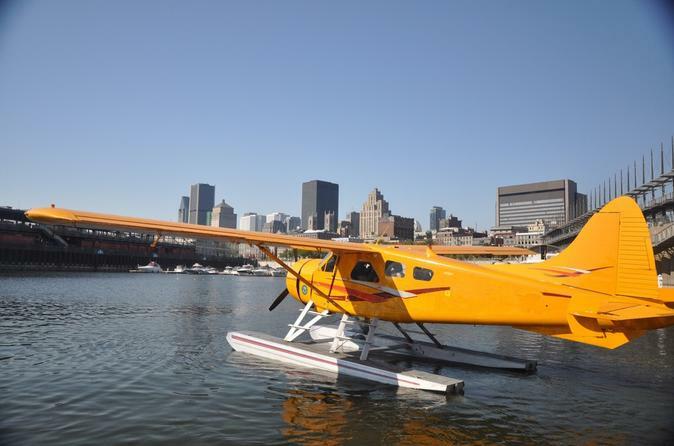 On a 35-minute scenic flight limited to six passengers, take in the sights of Montreal, including views of the St Lawrence River, Old Montreal, the Olympic Stadium and more. Then spend a night at the same resort where presidents and prime ministers have stayed. Relax by a sparkling pool or partake in on-site activities for purchase that include teeing off at a championship-level golf course or a tour of the woods by Land Rover. Fly back to Montreal after your stay. This scenic flight is limited to 6 people, making this experience more private — perfect for a family outing or a romantic getaway.